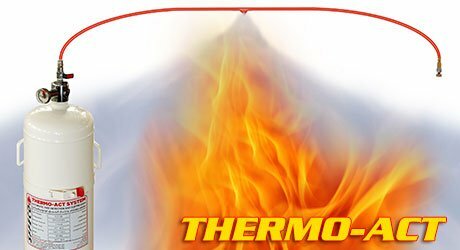 Universal Fire Protection Pvt Ltd Thermo-Act Fire Suppression system are the advanced technology of automatic fire suppression systems. The systems provide a self activating suppression system that suppresses fires in seconds. They are simple design and installation with low maintenance, highly cost effective and reliable. The electrical or pneumatic sources shall not be required to our Thermo-Act Systems. The systems can be used in the presence of an increased risk of fire. 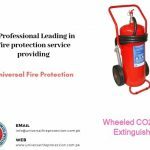 Universal Fire Protection Carbondioxide system extinguishes fire by reducing the oxygen content of the protected space and or local flame front to a point where it will not support combustion. Oxygen reduction below 16% by volume will extinguish most fires. 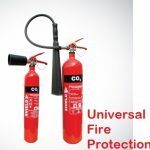 Universal Fire Protection Pvt Ltd Thermo-Act Systems utilize fire flexible tube for fire detection. 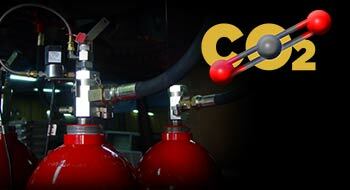 Thus, the fire detection and extinguishing system is not required to detect and discharge. Universal Fire Protection Pvt Ltd Thermo-Act Systems can be designed with commercial available agents including clean agent, wet chemical, foam, and dry powder. The system may be arranged as Direct System or Indirect System. Fires have a greater chance of starting in your kitchen. 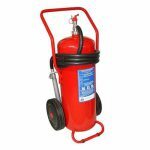 Fire Suppression System is the proper way is stop the flames from spreading. Kitchen fires in restaurants and hotels are classified as F fire, so the best agent to be used is the wet chemical to extinguish the fire with faster, high efficiency and less damage. 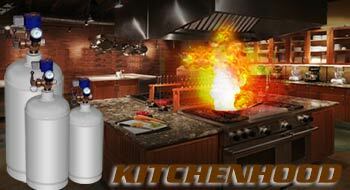 Our wet chemical kitchen hood system is simple, fast response and active system to protect your lives and properties. It is simple to install and having sensitive detection system to assure sensing fire from the cradle and injecting the wet chemical agent in a way to secure quick fire extinguishing. HFC-227 ea provides superior fire protection in a wide range of applications from sensitive electrical equipment to industrial applications using flammable liquids. HFC-227 ea is ideal for applications where clean-up of other media presents a problem, where weight versus suppression potential is a factor, where an electrically non-conductive medium is needed and where people compatibility is an overriding factor. When environmental impact is a consideration, HFC-227ea is particularly useful. It has zero ozone-depleting potential, low global warming potential and a short atmospheric lifetime. 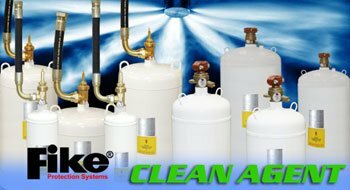 These characteristics make it suitable not only for new installations using Fike’s total flooding systems, but also for Halon 1301 replacement applications.